I went looking for Dolce. Before impulsively taking Nina home. I didn't go looking for Dolce. Dolce was not on my mind. 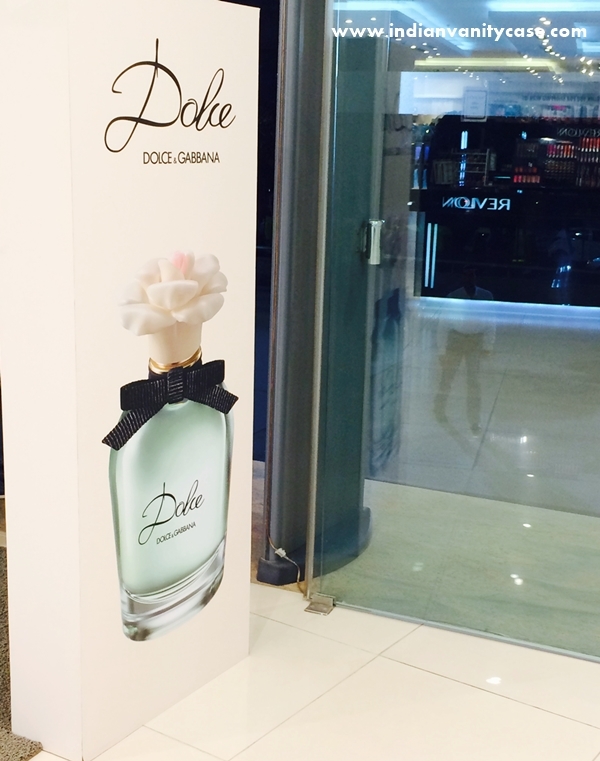 I have daydreamed about holding Dolce by Dolce & Gabbana for months & months.And.Now.It's right here! Right here next to my laptop while I'm writing this! Notes: Neroli Leaves, Papaya Flower, White Amaryllis, White Daffodil, White Water Lily, Cashmeran, Musky Notes, Sandalwood. Design: Dolce&Gabbana Dolce’s elegant packaging is reminiscent of a vintage fragrance flacon. Thick, clear glass with softly curved lines lending a contemporary design edge. The flower stopper pays tribute to Sicilian customs, crafted to portray the marzipan sculptures seen in traditional Sicilian confectioners. A thin black grosgrain ribbon, presented in an elegant bow, conjures images of the white shirts and bow-ties that were a signature of early Dolce&Gabbana catwalk shows. The final, and most personal, touch: Dolce signed in a flourish of black script, a replica of Domenico Dolce’s father’s own signature. If you know me, it is clear, that the bottle was what sold me this perfume. It is everything. Very well-made. Nothing plasticky about that flower, in case you're wondering. The bow is also perfectly looped & stitched. So vintage & modern at the same time. Now let's talk below the bow ~ It makes me so so glad that the fragrance is my kind of scent as well. It's a light fruity-floral scent, which is best suited for spring & summer. Very Marc Jacobsy, but it's more musky. It doesn't have the WOW factor to be memorable, but it is likeable. The makeup browsing was a tad boring until that moment. I became a mix of delirium & fear. "Dolce. Dolce. That.Is that launched? Where's Dolce & Gabbana?" I said to no one in particular in the fragrance area. If it wasn't there, I know I'd feel.... sort of abandoned. HEhe the way you write!! So adorable!! EVen I am eyeing at this perfume! !